Tapestry of Faith ... Get it now! Joni Parsley's new book, Tapestry of Faith, is packed with humor, encouragement, inspiration and much more to bless you and build you up for your spiritual journey. Request it now! "As you come with me on this journey, my hope is that you'll discover some common threads in your own tapestry, and especially one particular continuous strand: the hope and confidence found in the simplest truth: God loves you." Please request Tapestry of Faith now as you give a generous love gift, and Joni will send you a hand-signed author's copy of the book. 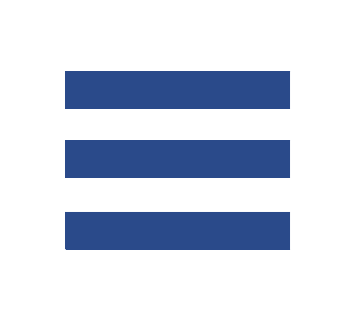 Want more info about Tapestry of Faith? 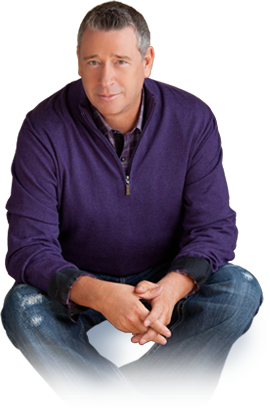 Click here to "look inside," read excerpts from the book, see more reviews, view a special video of Joni and more! Yes! 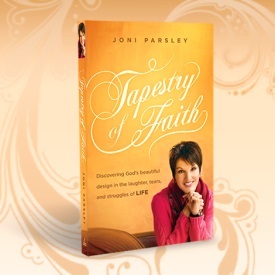 I want to order the Signed Author Edition of Tapestry of Faith by Joni Parsley. $20 - Please send me the signed Author Edition of Tapestry of Faith. $40 - Please send me the signed Author Edition of Tapestry of Faith. My most generous love gift - Please send me the signed Author Edition of Tapestry of Faith.